This game contains some topics and features that are related and suitable to the Bachelor of Science in Fisheries course. 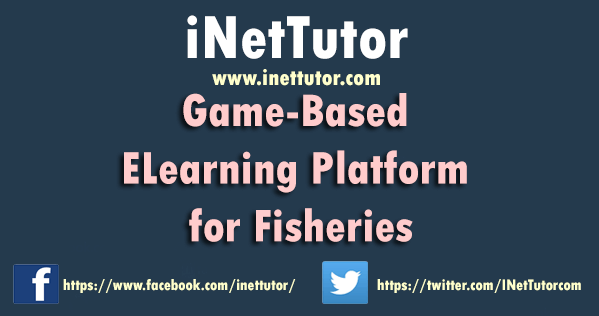 This game is not an ordinary computer game but rather an educational game that includes different function and features in fisheries course related subjects that will enhance the students learning. This game provides different kind of category of games and each category enhance the ability of the students defending on what the category focuses all about. In this game each player was given only a matter of time and turn to finish the given quiz and prove how knowledgeable they are. As the level become higher, the lesson they will learn become more advance. The good about this game is that the more the student plays this game, the more they will learn and enjoy their subjects. This game is unique to the other game because this game promotes the education in the way of entertaining the students which is the fastest way to make the students realize and love their lesson and subjects. To create a quiz game that will test the player’s knowledge about the different aquatic animals. To create a game that will let the player identify the different kinds of sea creatures. To create a game that will test the player’s knowledge about the different kind of sea creatures by identifying its part. To create a game that will let the player identify the different kinds of sea creatures by arranging the scrabbled names of each these sea creatures. To give knowledge to the player by showing videos, giving lessons, and facts about the different kinds of sea creatures and how they live in both fresh and salty water. The player can choose different kind of category that the games given, which train students in different fields, defending on what the category focuses all about. The coverage of features and topic from this computer game are taken from the selected subjects from Fisheries Department. The more they play this game, the more they will learn and train their thinking ability. This game can be installed in laptop and computers. This game is created to promote education in the way of entertainment and not to distract student from their studies. This game can be used as teaching tool by the teachers for their students. The learning that this educational computer game can provide is only limited. Only the students taking the B.S Fisheries course can avail and relate to this computer game. This game cannot be installed in mobile phones and become a mobile application. This game can attain only one player at a time. The existing method of learning in Fisheries Department employee the traditional method of instruction which includes: lecture and discussion, giving of assignments, reporting an evaluation. Educational computer game will not replace the traditional method of teaching and learning the subjects, instead it will provide the teachers and students a supplementary tool to assist them in their teaching and learning process. Fish Master Educational computer game was develop by the researchers and will make it accessible through the schools computer. The developed educational computer game shall be installed on computer laboratory. Researcher recommended that to improve students’ academic performance, motivate learning and strengthen the interest in gaining knowledge of every students, this educational computer game should be implement and should be integrate into the students. On the development of the system, the researchers utilized the Systems Development Life Cycle (SDLC). This method is the process employed in the analysis and design of the Educational Computer Game for Fisheries Department. Requirement Analysis. In this phase the researchers studied the importance of this computer game in student’s education, determined the user’s needs, analyze the needed requirements and the recommended solutions. The researchers interviewed the students to determine the system requirements. After the interview the researchers analyzed the data and research on the related literature. It involves estimating the work to be performed, and finalizing the project plan. System and Software Design. In this phase the researchers designed the system based on the requirements needed and analyze the unique function and importance of this computer game. The researchers have studied the game structure and analyze the importance of this computer game in promoting education to the students. Testing. This phase includes the process of evaluating whether the system meets all the requirements of the target users and checking the system errors. Requirements such as software functions and features where checked to determine if it functions correctly. This stage ensures that the produced system is complete and performs efficiently, evaluate whether the system perform all activities after integration with the existing operating environment and measure of the reliability and overall quality of the system. Implementation. In this phase the researchers conducted the system dry-run and conducted training of the target users of the system. The target users checked if the system meets their recommended functions and suggestions. Operation and Maintenance. In this phase, the researchers ensure that the created educational computer game is fully functional and performs optimally until it reaches its project deadline. In this phase the researcher provides the documentation and training required to use the system effectively. Once the system meets the recommended function and suggestions of the user the installation of the product will be operated and maintenance of the system will be process. This section presents the development of the system functionality and the project plan in developing the said system. It also includes the software requirements, hardware requirements, and the people ware recommendations. The requirements were gathered by the researchers from the target users of the system by conducting interview, observation and consultation. Interview. During the interview between the researchers and the students the researchers have found that some of the students spent their vacant time in different Internet Café playing computer games which cannot help in their studies. Observation. It has been observed that some students spent most of their time playing computer games instead of going to the library or studying their lessons. The Fisheries students will choose what kind of game they want to play in the main menu screen. The player can choose either fishie quiz, or the mini games which were composed of three categories; identify the picture, fish anatomy, and the scrabbled words. The player could also choose the fish carta which has videos on some of the sea creatures and which also gave information about the parts of the sea creatures and how they live under water. Through this game the students could increase their thinking skills, and gain more knowledge about the marine life. The researchers presented the context diagram and the decomposition diagram of the system which show the procedures of each function and the expected output of the developed system.